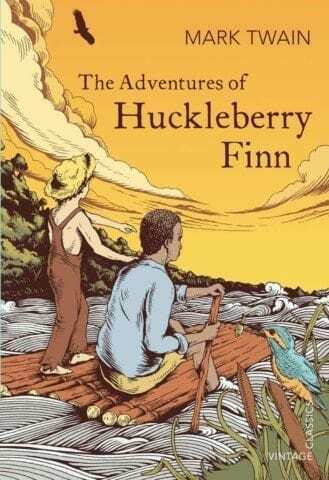 In Mark Twain’s, The Adventures of Huckleberry Finn, dialect is used very cleverly throughout the book. Jim, a slave, experiences the most throughout the book because his dialogue is full of improper words and phrases. An example of this is “Yes. You know that one-laigged n***** dat belongs to old Misto Brandish? Well, he sot up a bank, en say anybody dat put in a dollar would git fo’ dollars mo’ at de en’ er de year.” (41) This quote shows a lot about Jim’s education and how he lacks the ability to pronounce some words correctly. In this quote also, it has the use of the n word which is less commonly used today than what it was in the past. I think that Twain’s use of dialect in this novel is very smart and how it correctly represents the dialect of the time period that the book takes place is truly a work of art. Mark Twain’s use of dialect in Huck-Finn by Tuan is licensed under a Creative Commons Attribution-ShareAlike 4.0 International License. I think the excessive use of improper language is excused by the historical fiction and reality in the book. I think this is a very good analysis. I think the quotes from the text that you use as examples are very relevant and important to the type of analysis you did. I think you did a very good job tying in your quotes with your analysis. I think you did a very good job showing the quotes significance. I think you make a very good point about the historical significance of the text. I think you do a very good job showing how the text is evidence of what kind of society there is in the book. I think your analysis sparks people to think deeply about the text in a unique way. I think your analysis compels people to think about the text from unique perspectives that you show and highlight in your analysis and to think about the perspectives in a unique way. Overall I think this is an excellent analysis. I agree with the idea that Twain utilizes dialogue to add an extra element to the story, and to really get the reader to understand the setting of the novel. However, I disagree with your statement in saying that Jim’s speech is “improper”. Although his speech does display a lack of education and a different upbringing when compared to some of the other characters dialect, saying it is improper kind of puts across the idea that everyone talks “correctly” besides Jim. If you compare the characters dialect to today’s standard speech found in America, every characters speech in the novel would technically be incorrect. Hi Tuan, Good analysis of dialect in Huck Finn! Twain’s use of several dialects throughout the novel adds a lot of depth to the characters and depicts a historically accurate picture of the South during this time period. I agree that Jim’s speech is an indicator of the amount of education available to slaves, but I think that some of his words are pronounced differently because he has an accent. Do you agree? I would further question whether or not you think that the n word should be included in the novel and what impact you think it has. Even though Twain’s use of this offensive word is historically accurate, do you think it is too offensive to be read by highschoolers across America? Is the word slave a good enough replacement? I would challenge you to discuss how reading a censored version of the novel can affect a person’s reading experience too. Hi Tuan, I strongly agree with that you Mark Twain is using words and phrases that are very improper such as the “N” word. I think it is very interesting how Mark Twain decided to use the “N” word instead of replacing with other word that is not offensive to black people. It is very uncommon to see the “N” word in the book in the 20th century. I like your example from the book, you example shows well about Mark Twain using words and phrases that are very improper. I think that the book should not be prohibited in high schools, because I think that the dialect and its improper words shows the true history of America. Thank you for your essay Tuan. In Huck Finn, Twain was definitely trying to portray a certain “flavor” in the South. However, I think that your terming of Jim’s speech as “incorrect” is troublesome, as it implies that there is a “proper” way to be talking. I see that you do not refer to the other dialects as incorrect, which is why I bring this up. On another note, I don’t think that it shows that Jim is uneducated, as there are many dialects of English today. Moreover, I think that his way of speaking was created due to his family’s history of slavery, and how people he grew up around spoke. His ancestors, the original slaves who were taken to America through the middle passage and stripped of their humanity probably did not speak English. They would have picked it up bit by bit, with their children speaking similarly. Even now we still see this in African American Vernacular English (AAVE) spoken by working class African-Americans. Hi Tuan! Great analysis of the use of dialect within the text. I really enjoyed how deciphered the excerpt from the text ad incorporated it into your writing, although I would urge you to expand your analysis of the quote itself. Mark Twain’s use of dialect is a great example of local color in the novel since it helps depict the time period and culture of the south during the pre-civil war period. You can see the emphasis Twain puts on dialect and language in this piece through almost any quote of dialogue between Huck and Jim, “Well, it’s a blame ridicklous way, en I doan’ want to hear no mo’ ’bout it. Dey ain’ no sense in it.”(72). Here you can clearly see how Twain uses dialect to depict the time period and the local color. You have a good start on your work although I would try to expand your thinking a little more, maybe you could dive deeper into the local color of the novel as well as the dialect? But other than that good start! Hey Tuan, I agree with you that Mark Twain’s use of dialect throughout the book is a clever and an effective way to convey a message to the audience and make the story more realistic. I think it’s interesting how Jim’s dialect shows a lot about his background, including education, and his struggle in pronouncing some words correctly. Although the book contains many N words, I think it is absolutely necessary in showing what it was really like back in the 1830s when slavery was still legal in the South. Do you think people are still judged based on their dialect to this day in 2017?